He never made it on Earth. A RADICULOUS SPACE ROCK OPERA! 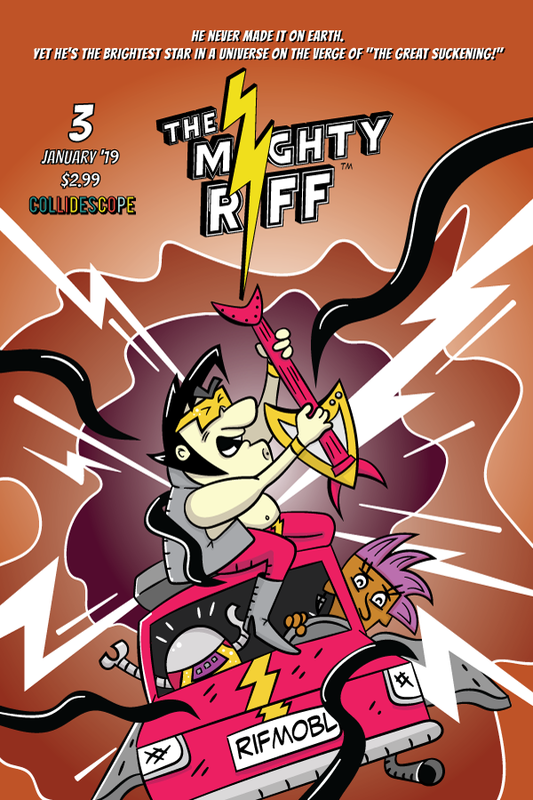 The Mighty Riff™ is an independent comic from the shallow yet deeply confused mind of Brian Coles and edited by his dear, patient wife Rose Coles. Imagine if Flash Gordon, Angus Young and Benny Hill conceived a child while watching a VHS copy of The Ice Pirates. After wiping the bile off your chin, we encourage you to reflect on the fabulous yet triumphant disaster this promises! 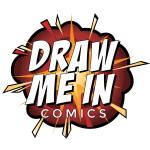 And sign up for our newsletter, follow us on twitter, instagram, like us on facebook so you don’t miss the birth (and after birth) of comic history! 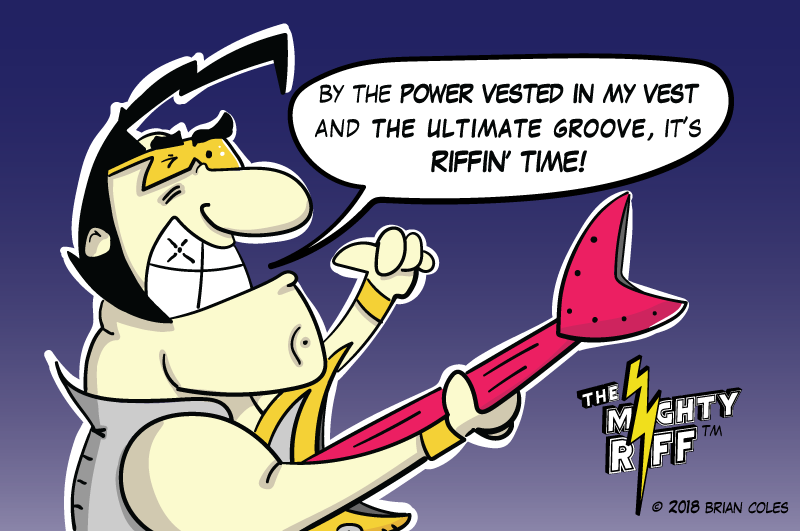 All three issues of The Mighty Riff will be on sale with special trading cards at WonderCon (Anaheim, CA) March 29th - 31st, 2019 (2 weeks away! ).Drop by for a fun chat with moi (Brian Coles) and my amazing wife (Editor). We'll be at Booth SP-57 in the Small Press area under "Collidescope"! In the final chapter of this story arc, The Mighty Riff battles a mutated Drooping Molly in the hairiest of hairy battles as The Great Suckening closes in with a vengeance! Digital Version NOW AVAILABLE here: https://www.comixcentral.com/vendors/the-mighty-riff/ and here: https://www.drawmeincomics.com/shop/wbcoles NOTE! All 3 issues tell a complete story! Print version coming soon! for the latest news, special offers, sneak peaks and cosmic levels of regret!